So you're pregnant at Halloween. Have you even considered all of the possibilities here? Turning your bump into a pumpkin is only the beginning! From the amusing to the downright disturbing, there is a host of ways in which you can turn your pregnancy into a Halloween extravaganza. It's not like you'd be able to do this every year (unless you're planning on buying a prosthetic bump or having a very large family). This might be the first, last and only time that you get to have this kind of fun. Body art for pregnant women surely has to start with a pumpkin belly. It's the obvious choice for anybody this Halloween! It's the classic, fun thing to do at Halloween, if you happen to be far enough advanced in your pregnancy. Turning your bump into a pumpkin is more than amusing, it's something which your whole family can get involved in creating. Even the little ones. In fact, especially the little ones! The whole process is very easy. All you need to do is cover your belly in orange paint (naturally selecting proper body paint for this, as the alternatives would be silly). 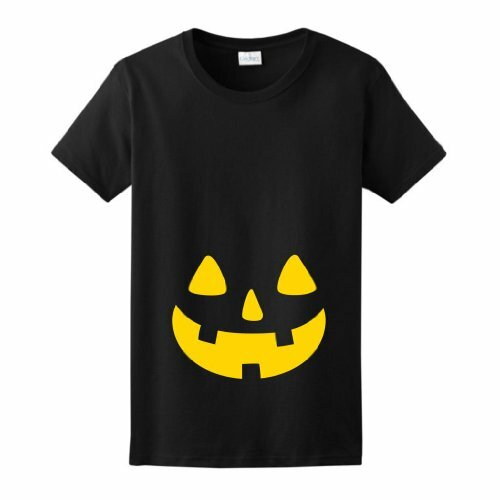 Then add in some eyes, a nose and grinning Jack O'Lantern teeth in black or gold. Perhaps dab on a stalk with some green; alongside the ridges of the gourd. Presto! You have the de rigeur Halloween pumpkin pregnancy bump! Many photographs should now ensue, particularly if you've had some help from a toddler or small child. Still not certain what I'm going on about? Some ladies have filmed their Halloween artistry. At least two of them had their child becoming creative with a pregnant body painting brush. The results naturally ended up on YouTube. Could you and your family do better than these? Check out these YouTube videos for inspiration in painting your bump as a pumpkin this Halloween! 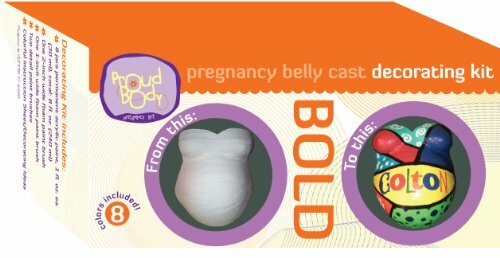 Get Your Halloween Pregnant Belly Painting Supplies! 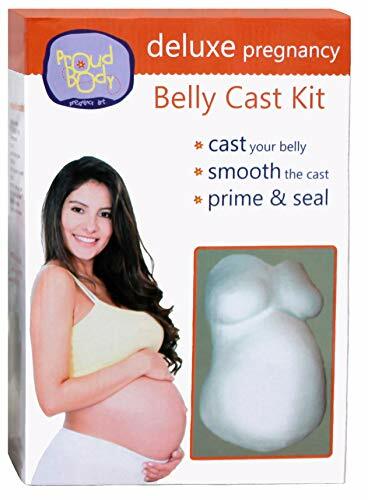 All of the belly art products shown in the video above are available below. They are all certified safe for pregnant ladies. In your wild and glorious youth, you had your belly button pierced. Now that it's swollen with incoming new life, you might think that your ornamentation days are over. Wrong! There is body jewelry which exists with pregnant ladies in mind. It's flexible enough to stretch with you. Plus it's festive! 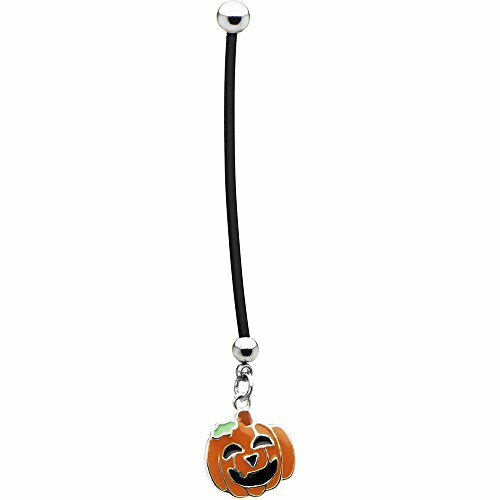 This pregnant pumpkin belly jewelry would be perfect for Halloween; and it retains your piercing, while you have your baby! Just because a pumpkin is popular, it doesn't mean that it's the only concept out there. That just makes it common! Let's look at what we've got here. Yes, we have new life! It's beautiful and you're beautiful. But what we also have is a ball or a mound. Get creative! Why not paint it completely white and add some black orbs for eyes. Paint in a grinning mouth and call it a skull. 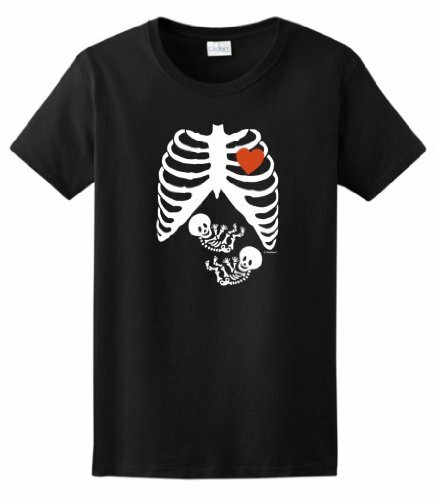 Too morbid, when there's a little one inside? We can get much more horrific than that! This is Halloween after all! If you (or, more to the point, whoever is painting this) has the skill, how about painting a hand reaching out? Or a picture of a baby vampire, monster, zombie or ghoul? Surely there's a lot of inspiration in the whole Rosemary's Baby sub-genre of horror! And who knows, looking on, what you're carrying in there? Especially if you get Dad to dress up as the adult version of the scary creature that you created! Consider this as your blank canvas. You are restrained only by your imagination and materials. I'm not even going to include skill here, as it's the trying that counts. Nor does it even have to be a great work of art. Simplicity and a few accessories often works just as well, if not better! Just check out what this individual did below. Too Cold for Pregnant Body Art at Halloween? Not all of us live in the tropics! And October is notable for being way too chilly for such shenanigans. 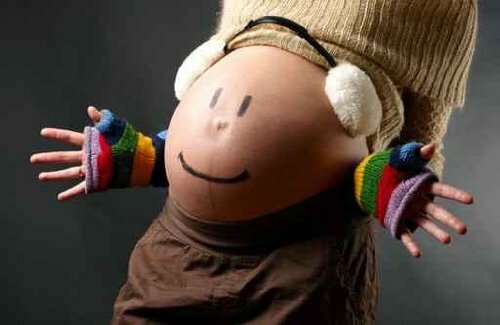 Just because you have to wear a coat (and hat, gloves and scarf), it doesn't mean that you can't have a little fun with your bump this Halloween. 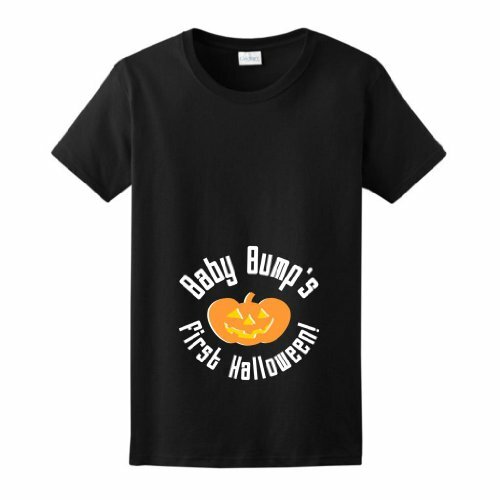 There are a whole range of Halloween maternity t-shirts, each with their own take on the combination of horror and pregnancy. I've included a few of them here for your perusal. Of course, you may be crying foul at this point, as I've lured you onto this page with promises of ideas for pregnant belly art. Look again! These fit the bill perfectly! You just have to disdain the fabric and nick the ideas to body paint onto your own belly. Are you up to the job? If it was me, I'd be examining the possibilities around that cauldron. With a bit of perspective painting, you could easily turn your belly into one. Most of the mound would be the black or grey of a real witches' pot. The top would be a seething mass of green and purple paint. Either draw on the steam, or make it even more 3D with cotton balls tufted across the hem of your clothing. As for the outfit, that would be the witch herself! It will be the only year where you get to dress part of your own body up as the cauldron accessory to that costume! Happy Halloween, whatever you decide to produce. But if it's a good one, please do put your photographs or videos on-line, then comment here with a link. I'll feature the best ones in this article, so you can be next year's inspiration for expectant Moms! So many masks to choose from, but which is the absolute number one mask for Halloween in each horror genre? I've taken to the stores to find out. Grinning pumpkin heads are all well and good; until one turns its head to follow you across the room. Have fun with your own pumpkin costume this Halloween! Get in touch with your wild side! This Halloween, when the Wolfman prowls, let it be you inside the costume. The alternative is too grisly! Awww! So you're not planning to have another one just for the pumpkin belly? It's a Halloween costume that you have to start 'planning' from about February. Just because you have a baby on the way, why shouldn't you join in the fun? 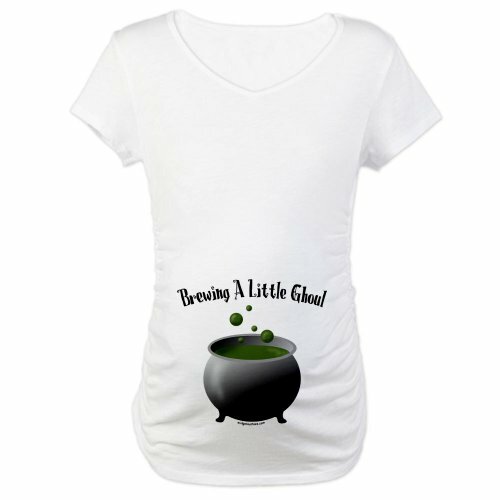 There are plenty of maternity outfits for Halloween from which to choose! All eyes are drawn to the bump anyway. Give them something remarkable to look at. 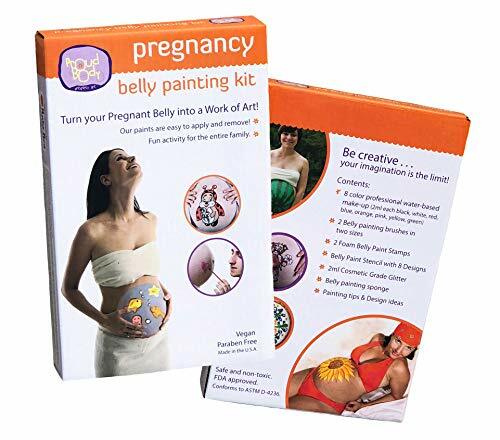 Paint your pregnant belly with glorious artwork!